Happy to report that our very first TRIFEST, held weekend before last, was a huge success. Our sincere thanks go to our hard working TRIFEST Race Director Tony Cox for overseeing this event for us. Tony was assisted greatly that weekend by Brian Gallagher and Elliott Bolitho who helped out with set up and swim course marking. Also helping out were our wonderful volunteers on registration, Jac Crofton and Sally Broadley; on Fruit | Ice we had Chris Monahan, Kerry Sullivan and Deanne Jewell; Rob Spiers & Barry Sullivan manned the far road bike turnaround; aid station angels included Spy, Christine Dames, Glenn Grant, Joe Librio, Brett, David Hancock, Belinda Townend & Ange Librio; finish line numbers were taken mostly by Deanne and Rena Walker assisted with presentations. We sincerely appreciate our amazing volunteers including all those who pitched in to help in various other ways as required! President of Triathlon NT Aaron McMahon was on hand to present the awards for the 2017 NT Long Course Triathlon Championships. Thanks to Aaron for coming down to Lake Bennett and to Triathlon NT for supporting the event. Our friends at Wicked NRG and Cafe Central contributed to our lucky draw prizes and we'd also like to acknowledge their support of TRIFEST. Rena reports our next junior event will be this Sunday 10 Sept 17, also at Lake Alexander with an earlier 7am start time to align with the Super Sprint event (Please be there by 06:45 for registration). PLEASE feel free to pass this info on to friends who you think will be interested in coming along, the more the merrier. Please note: Club membership for juniors does not auto renew. To check out and pay membership please click here. 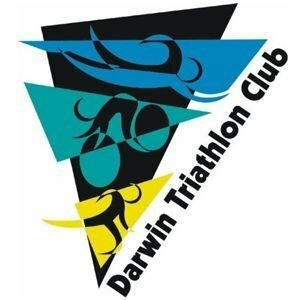 You will notice Darwin Triathlon Club portion of the membership has stayed the same as last year. The kids will be doing a "swim" run event while the adults are competing in the super sprint event. Please bring goggles and running shoes, no bikes this time. If your child needs assistance and close supervision in the water we ask that a parent be ready to be involved in the water activities. We will be in shallow water so if your child can't swim well they can walk, blow bubbles, kick with parent assistance etc. We will be running some fun water and land based activities for the younger and less confident kids. Then they will do a couple of micro events with the 'swim' and run distances adjusted according to their ability. The older kids 9+ can choose to do slightly longer distances according to your child's confidence and capability. 4 Congrats to Stacey & Kent Murray on the recent birth of their baby daughter Summer. 5. 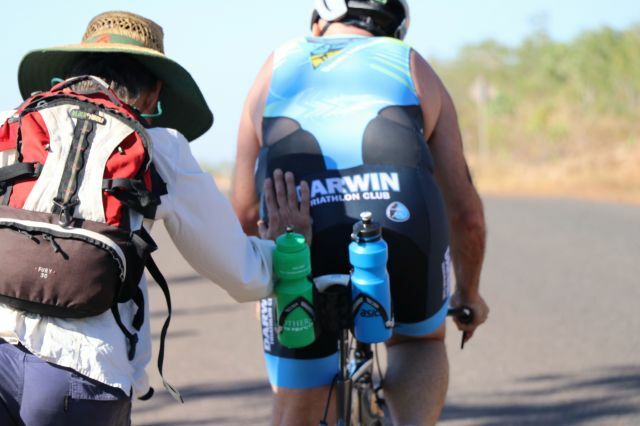 Hear Matt Bishop has all but recovered from his injuries sustained after being blown off his bike in the road ride leg of Katherine Ultra Challenge. 6. Good luck to members lining up at Ironman 70.3 Sunshine Coast this weekend including Jac Crofton, Stu Fitch, Ali Fitch and Brad George. 7. As the Tour de Timor approaches, noticing there are some members out there who are very, very mtb fit!! 8. Our Super Sprint event on Sunday kicks off our Super Sprint Series. Good luck! 9. Thanks to those who volunteered for Super Tuesday Bike Count this week and nominated the Club. Do let us know if you did that, so we are able to follow up and receive your donation. 10. Know someone who would like to tri? Our Come & Tri category on Sunday is open to non members, so why not bring a friend! 11. Haven't renewed your membership this season? Why not Come & Tri this weekend, say hi and perhaps kick start your comeback to the sport!! We'd love to see you tri-ing again.